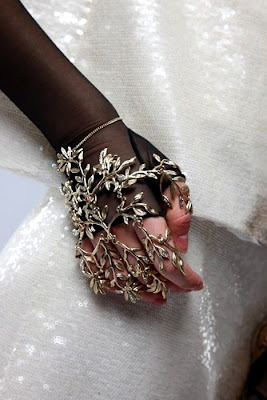 I don't know the original source of this leafy metal glove thingy, but it's gorgeous. It's sort of a handflower, but not exactly...and is quite unlike either of the two I own. If I could find out who created it, I'd definitely consider adding it to my collection.